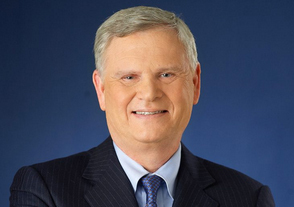 “Despite having extended CEO Randy Falco’s contract through 2020 last November, Univision has now confirmed that he will retire by the end of 2018,” reports Dade Hayes at Deadline.com. Falco, who was previously at NBC for more than 30 years, is well-known in the TV community. He joined Univision in 2011. In a Wall St. Journal story, Shalini Ramachandran and Keach Hagey report, “Univision’s private-equity backers—which include billionaire [and chairman of the Univision board Haim] Saban’s Saban Capital Group, Madison Dearborn Partners and Providence Equity Partners, among others—also have retained a consulting firm to undertake a review of Univision’s businesses, some [sources] said. The company is contending with a rapidly shifting television landscape, significant ratings declines on its broadcast network and the inability to engineer an exit for the company’s longtime private-equity owners. To read the full Deadline story, please click here. To read the WSJ piece, please click here. And to read Variety’s take, please click here. One of Univision’s problems is that they hired ex-ABC Sales Managers (and even their brothers, who worked at mainstream TV stations)…washed-out rejects from mainstream TV that are more politicians, than they are managers or salespeople. They have zero clue about selling, or how to treat people right. The absolutely wrong choice of managers, which has impeded the ad sales growth of the company.